Welcome to our restaurant - Garni ERTA. 14 beds, divided into apartments and rooms all: equipped with television and bathroom! Welcome to our Restaurant Garni Erna. Vineyards that surround our property and that dominate the Lower Vallagarina place will be for you to walk that will take you to discover the beauty that this land of strong rural tradition offers. The medieval castle that rises above the town of Sabbionara will surely be one of the things not to be missed, hiking in the mountains, the lake Garda, the city of Rovereto, Trento and Verona, the major theme parks of Garda like Gardaland, spas . 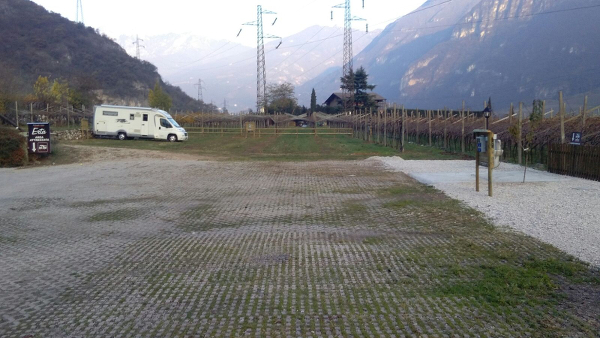 Choose Avio and Agritur Erta point of accommodation will allow you to be able to move into the lower Trentino having a few kilometers a lot of things to do. 14 beds, divided into apartments and rooms all equipped with television and bathroom ensure the peace and tranquility that the mountains have always invoked. For availability of apartments, please contact us by telephone on 0464 684061 , as well as for any information of any kind. We will provide you with all the information you want. Call us!